The Residencia Inn Make your day hotel stay enjoyable and comfortable by booking your day stay at The Residencia Inn. Comfort and convenience await your arrival at the Residencia Inn. 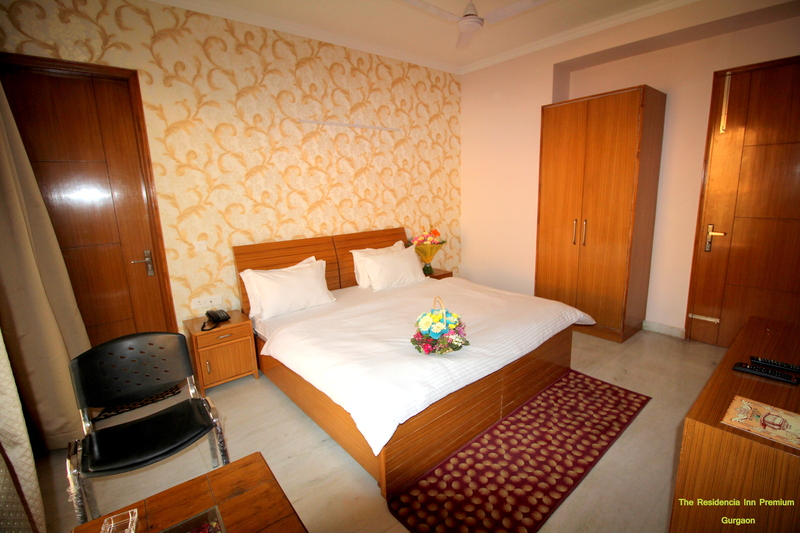 Well-equipped spacious rooms with modern amenities shall take care of your accommodation needs. With convenient location in the city, this hotel offers easy access to major highways, tourist attractions, shopping centers and restaurants. Whether you visit the city for a relaxed family vacation or head to the area for a major work assignment, The Residencia Inn is equipped with luxury and comfort. Book a flexible day stay for a short while or enjoy an extended holiday in this prime location. 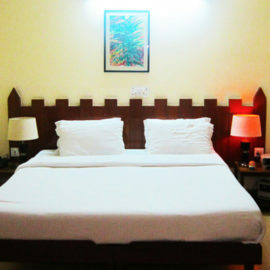 The hotel offers executive and premium rooms based on your needs. 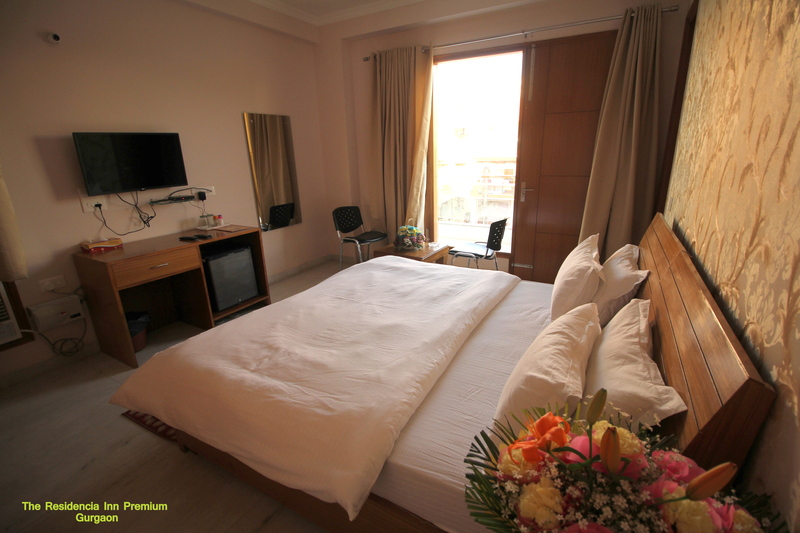 Every room is equipped with air-conditioner, attached bathroom with shower and bathtub, TV with cable, writing desk and chair, comfortable bed, mini bar and bottled mineral water. 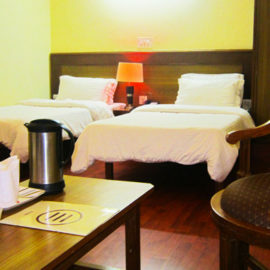 The hotel offers daily housekeeping, laundry services and 100% power backup. Free Wi-Fi can help you stay connected. Complimentary breakfast is offered with premium rooms. The hotel also provides arrangement of booking on-demand cabs for its guests. Central location in the heart of DLF area, Gurugram makes it an ideal choice for stay. It is close to several multinational corporate headquarters and new business centers in the region. Besides, easy access to entertainment, shopping, tourist attractions and parks makes it an excellent option for families too. It is located close to the Indira Gandhi International airport, saving essential commute time. Enjoy a leisure trip or stay for a comfortable business tour, The Residencia Inn can be your next accommodation partner in the city. MGF Mega City Mall — Five minutes from the hotel, this Mega City Mall attracts visitors for a memorable experience with family. From major retail outlets to food joints, famous brands to entertainment for kids, the mall is equipped with several fun things for all. Head over this location for your shopping needs and return back with memories, experiences and huge bags. DLF City Park — For a relaxing spot in the neighborhood, the DLF city park can pose as an ideal choice. With a walking track, kids’ play region, green space and open area, the city park is good for a quick stroll or a quiet picnic lunch. Enjoy some peaceful time with family or catch the sunset in the park, DLF City Park draws visitors all day long. Sanskriti museums — Take a slice of history, culture, language and heritage at this museum complex close to the hotel. The Museums of Everyday art, Terracotta and Textiles offer detailed insights into this blooming industry and treasure of the land. Besides permanent exhibits, the museum offers workshops, tours, lectures, seminars and craft demonstrations for its visitors.